The Kratom Use Signs and Symptoms - What Are They? The Kratom Use Signs and Symptoms – What Are They? What are kratom use signs? Kratom is unique with its combination of stimulating and sedating properties. Low-dose kratom use signs are like caffeine, increased alertness, and physical energy. High-dose kratom use signs are like opioids with sedation, dizziness with the risk of seizures and tremors. Little is known about the long-term use of kratom, but the body can develop dependence, tolerance, and addiction. Kratom is a plant native to Southeast Asia. It is unusual because it has stimulating properties at low doses (1-5g of raw leaves) and sedative properties like opioids at high doses (5-15g of fresh leaves). The kratom plant leaves can be ingested in multiple ways including eating the leaves, brewing them in tea, and pills made of kratom powder. Southeast Asians use kratom leaves for pain relief, coughing, intestinal diseases, and for staying awake. In the U.S., proponents of kratom state that it is a safer alternative to opioids, aids in opioid withdrawal, and is an effective pain reliever. No clinical trials have been done, however, to test the validity of these claims. The legality of kratom is under dispute. Kratom is banned in 15 countries and six states (Alabama, Arkansas, Florida, Indiana, Tennessee, and Wisconsin) while the Drug Enforcement Agency considers the issue. One of the dangers of kratom cited by the DEA is that as an “herbal supplement” there is no regulation of its properties and several Kratom-based samples available in smoke shops and online contained other substances including synthetic cannabinoids and opioids. According to the limited research available, “kratom does not usually produce an intense high or euphoria.” Visible signs are like the visible signs of other psychostimulants like caffeine. Some people report adverse effects, showing signs of anxiety, irritability, and enhanced aggression. Even at high doses, Kratom does not cause respiratory depression like opioids. Not much is known about long-term kratom use signs since there is little clinical data on it. There are some withdrawal symptoms associated with quitting long term kratom use, but users of the drug describe it as less painful than withdrawing from opioids due to the relatively short half-life of kratom. 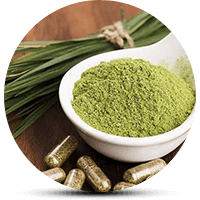 Addiction Resource » Addictive Substances: The Anatomy of Drug Addiction » Kratom Addiction, Its Effects And Treatment » The Kratom Use Signs and Symptoms – What Are They?